A discussion panel about the exhibition themes, as well as the catalogue launch,took place at Goldsmiths College's cinema on the 27th of May at 14:00, chaired by Dr. Suhail Malik (Senior Lecturer & Course Leader Postgraduate Fine Art Critical Studies at Goldsmiths College) and with the participation of Tom Morton (curator, Cubitt Gallery, and regular contributor to Frieze magazine), sala-manca (artist group), Dr. Amanda Beech (artist, curator and senior lecturer at the Wimbledon School of Art), Matthew Poole (course director of MA Gallery Studies, dept. of Art History and Theory at the University of Essex). For artists' images click here. 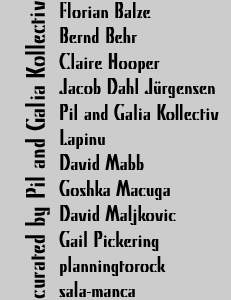 Modern Lovers was a survey show of contemporary art practices in dialogue with modernism, bringing together established and emerging artists based in London and international artists from Berlin, Jerusalem and Zagreb. 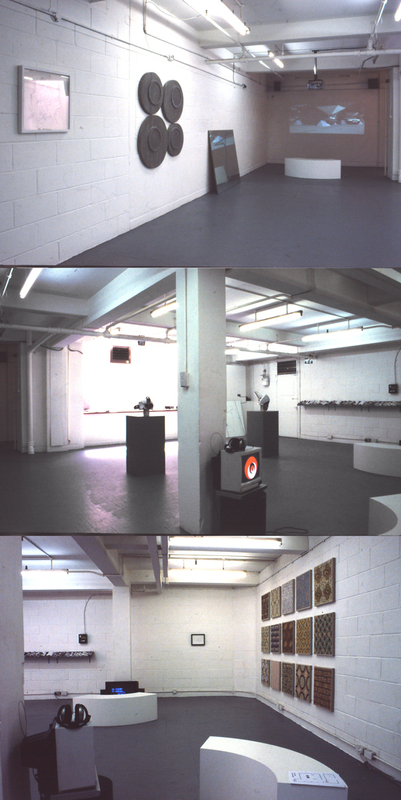 The show features video, film, installation, sculpture, music and performance work that addresses the legacy of the avant garde and the survival of its aesthetics within contemporary culture. In 1976, as punk rock was busy smashing the cultural rubble left behind by the second world war and rejecting the consumer society that had emerged from the ruins, one band bravely announced that it wanted no part in this destruction. Jonathan Richman's Modern Lovers sang about how they still loved the old world. Neither parents nor girlfriends could understand, but the decaying inner city with its false promises of progress still held a fascination for Richman, who claimed he wanted to keep his place in this arcane landscape. Punk's assault on culture was the logical conclusion of modernism's linear narrative of art as a force of innovation that must reject preceding artistic movements to establish new ones. Echoing the negations of Dada, it set out to put an end to this narrative, an end to culture. It is partly because of this inherently destructive and totalising side of Modernism that it has come under harsh critique in the post modern era. Nevertheless, we are still caught up in the same dialectic of progress, revolution and destruction. Post modernism has failed to unseat our desire for the revolutionary moment, even as it has been co-opted to the degree of meaninglessness by the discourses of marketing and Capitalism. 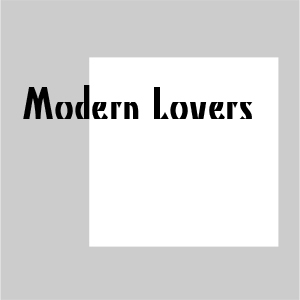 But, like Jonathan Richman, the artists in the exhibition "Modern Lovers" keep returning to modernism for something else. Instead of taking it at its word when it proffers revolution, they turn to it in search of reform. Still loving the old world and desiring a dialogue with the past, perhaps as an antidote to the eternal present of Capitalism, they are willing to engage with its aesthetics and ideas on equal ground. Leaving behind the ironic deconstructions of post modernism, they find perspectives worth salvaging and juxtapose them with contemporary visual productions. Trading in the grand narratives of modernity for a more personal approach, they don't seek the purity of form that drove the avant garde movements that inspire them but rather revel in adulteration, dilution and contamination of the past by the present".